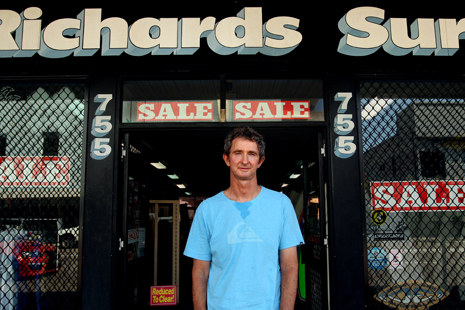 One of Australia's most famous surf shops is closing down. 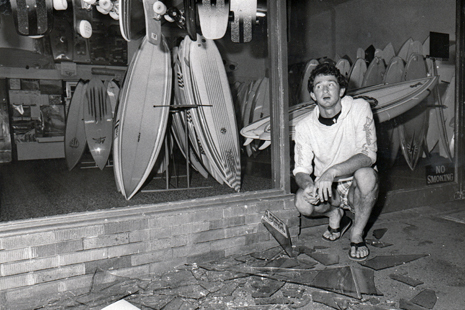 On Saturday afternoon, surfing legend Mark Richards will shut the doors on the family shop at 755 Hunter Street - a surfing institution that has been selling boards since 1958. In an industry when retailers come and go - in a street where too many businesses, sadly, have simply gone - 54 years of selling surfboards from the one address must be some sort of record. 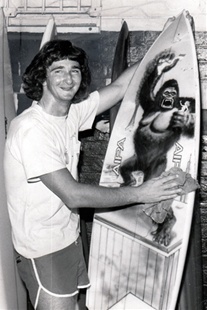 For the four-time professional world surfing champion who turns 55 in March, shutting the shop is not "doom and gloom". The man known simply as MR acknowledges retailing's decline along the once vibrant Hunter Street but says the time has come to move on with his life. "I haven't made it a secret but the word has got around," he said. "We've had people in just wanting to wander round and soak up the atmosphere one last time." His good friend and the shop's other main face, fellow Merewether surfer Mick Adam, can hardly believe it's happening. Ray Richards- the great uncle of the modern era of Australia surfing??! 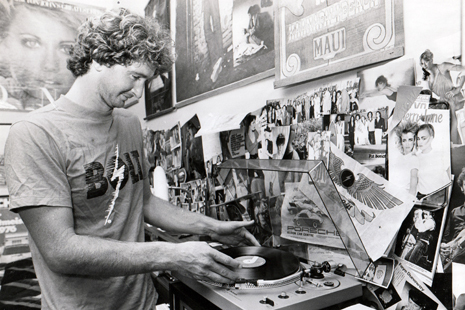 "I started here in the 1970s when I was still at school," Adam said. "I'm going to miss it." 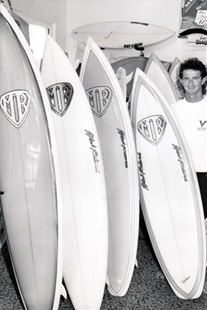 It's the stuff of surfing legend that Mark's father, the late Ray Richards, started the shop as a second-hand car showroom in the post-war 1950s. 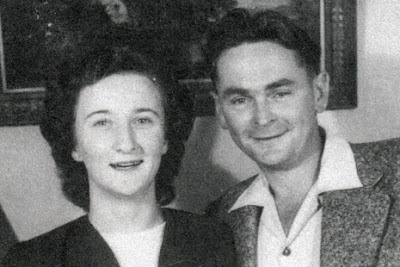 Records that Mark's wife Jenny found this week showed the first board Ray bought came from Barry Bennett's at Brookvale, in 1958, at a cost of 26 pounds. 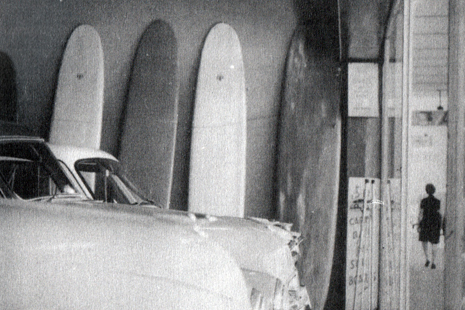 Surfboards remained sidelines for a few years but in the early 1960s, Ray and wife Val took a history-making plunge and gave the shop over to surfing. 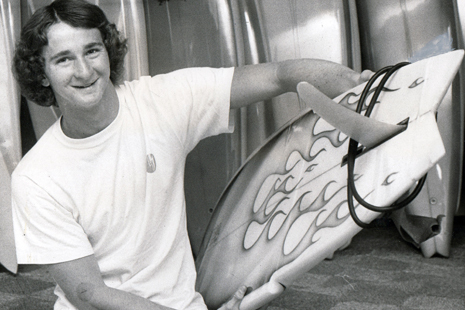 As David Knox wrote in his 1992 biography, Mark Richards, A Surfing Legend: "For a surf-struck youngster, that shop was a wondrous place. " It was also home to the young Richards, who lived as an only child with his parents in a flat above the showroom. 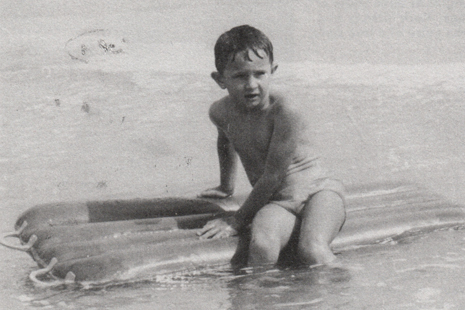 By the late 1970s, when Richards was an idol to a generation, every kid in town wanted an MR twin-fin. The shop stocked full of early 80's gold. 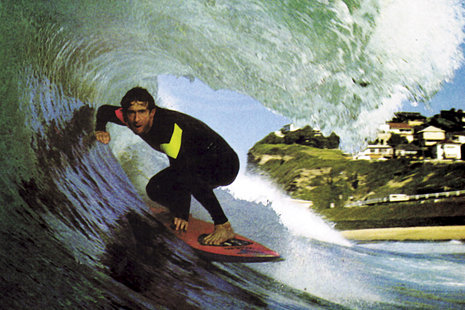 Winning four consecutive world championships from 1979, Mark Richards was the Kelly Slater of his day. With a knees-together, arms out style that had him christened "the Wounded Seagull", Richards was the surfer with the "famous Novocastrian grin". Now a handful of big companies dominate the industry and small independent surf shops are finding it harder to survive. "I love shaping boards, it's what I'm good at, but I'm not so sure I'm so good at retailing," Richards said. 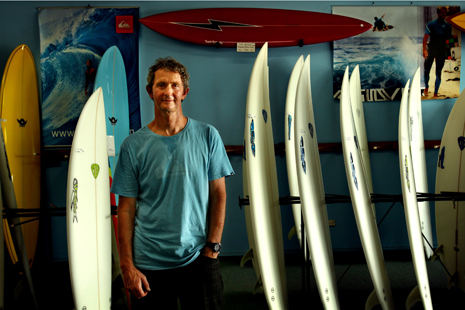 Walk into the shop on any afternoon - after Richards has had a morning surf - and chances are he's there to serve you. Shutting the shop will let him concentrate on making surfboards in a room tucked away in an old weatherboard building behind the shop. While one door shuts, another is opening a block away from Richards on the corner of National Park and King streets. "Paul Green, whose Slimes Surf & Skate is at Erina, is opening his Newcastle shop next month and Mick is going to work for him and my boards will be available there too, and I'll keep my website going also, so it's all worked out well," Richards said.